The U.S. government will not categorically declassify the number of weapons in the U.S. nuclear arsenal once and for all, but it will consider declassification of the size of the prior year’s arsenal on a case by case basis, the Department of Energy said last week. In May 2010, the Obama Administration declassified the fact that there were 5,113 warheads in the U.S. arsenal as of September 2009. 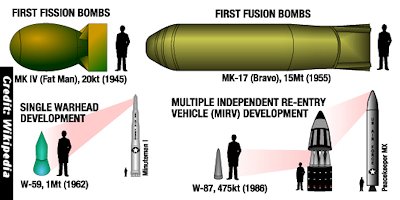 It was the first time in the nuclear age that the current size of the U.S. arsenal (or any nation’s arsenal) was officially disclosed. Last year, the numbers were updated through September 2013, when there were a reported 4,804 warheads. Why not make such disclosures routinely and as a matter of course? Last May, the Federation of American Scientists presented a proposal to that effect to the joint DOE/DOD Formerly Restricted Data (FRD) Declassification Working Group (DWG). Officials rejected the idea. “The FRD DWG has determined that it cannot agree to your request at this time,” wrote Andrew P. Weston-Dawkes, the Director of the DOE Office of Classification in a December 30, 2014 letter. Accordingly, we submitted a request this week for declassification of the stockpile and dismantlement figures as of the end of fiscal year 2014 (i.e., September 30, 2014). . . .